Of course, Mr. Twain was speaking metaphorically as your “frog” represents your biggest, most important task – the one that represents the greatest discomfort for you and that you are most likely to put off day after day, week after week, month after month. So, if you desire to become the most successful and productive owner/manager you can be, what I am about to share with you may be the single best piece of advice you will receive. Ever! Every night before you go to bed, write down every single thing you know you need to do and complete. Writing it out will help you visualize the tasks. Of your list of A’s, choose the one or two that make you the most uncomfortable even to think about. I bet those are the most important. If anything, those are the ones you are most likely to put off. If you have two or more frogs to eat, then make sure you prioritize the ugliest frog first! The next morning, hopefully after a good night’s rest, dedicate the first 1 to 3 hours of your work day to your frog (or ugliest frog). Do not allow yourself to be distracted. No email. Phone calls. Texts. Social media. Customer calls. Nothing. Just eat your frog. And no, do not sit and simply look at how ugly your frog is and think about it. Dive in. Do it...no matter how uncomfortable it is at the start. What I am attempting to program into your brain is for you to habitually – every single day – face your fear or discomfort. If you can do this, if you can truly commit to this one new habit, I guarantee you, your life will become so much more of everything you wanted it to be. You can actually develop a “positive addiction” to endorphins and to the feeling of enhanced clarity, confidence, and competence that they trigger. 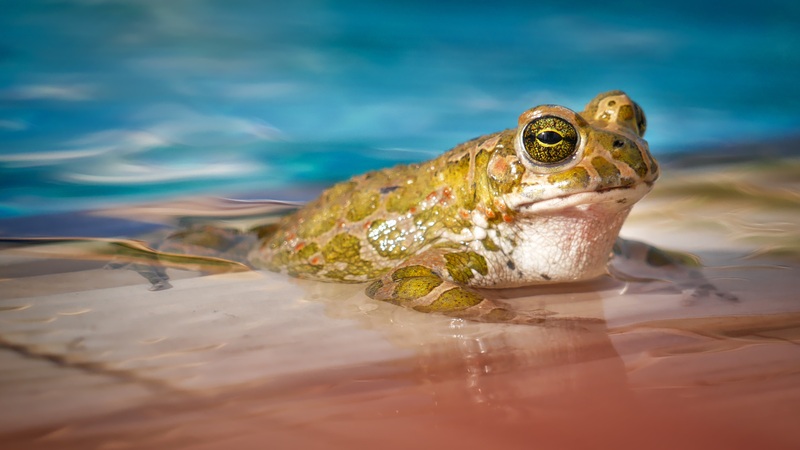 When you develop this frog-eating addiction, you will (at an unconscious level) begin to organize your life in such a way that you are continually starting and completing ever-more important tasks and projects. You will actually become addicted, in a very positive sense, to success and contribution. Just commit to and develop this one new, positive habit in your life. If you do, every day will without question be that much happier and more productive.